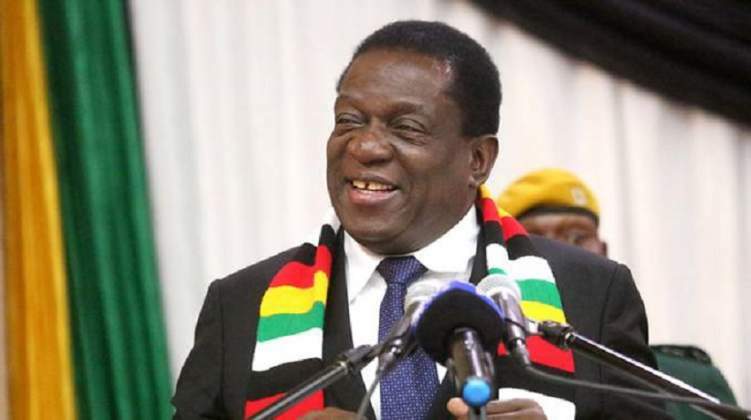 President Emmerson Mnangagwa has called for "calm and peace" as the southern African country entered its third day of protests over the recent fuel hikes. Writing on his Facebook page, the president said he was "deeply saddened" by the events in the southern African country which have led to several deaths. The president described the ongoing protests as violence and vandalism that had not place in the southern African country. "As I have said numerous times, everyone in Zimbabwe has the right to express themselves freely – to speak out, to criticise and to protest. Unfortunately, what we have witnessed is violence and vandalism instead of peaceful, legal protests. "There can be no justification for violence, against people and property. Violence will not reform our economy. Violence will not rebuild our nation. "What will lead to a stronger economy is investment. That is why I travelled to Moscow, and that is why I will be travelling on to other countries in the region and then the World Economic Forum in Davos," Mnangagwa wrote. He said he would continue with his visits in Moscow and other neighbouring countries to boost the country’s image and attract investment. Mnangagwa's remarks came amid widespread unrest in the southern African country. Reports have said that Zimbabwean military helicopter on Tuesday fired tear gas at demonstrators blocking a road and burning tires in the capital on a second day of deadly protests after the government more than doubled the price of fuel in the economically shattered country. An Associated Press report said soldiers moved in to disperse crowds at the busy intersection and transport hub in Harare amid Zimbabwe's biggest unrest since deadly post-election violence in August. Social media applications – Facebook, Twitter and WhatsApp – were disabled. At least eight people were killed in Monday's unrest during which security forces opened fire on crowds, according to the Zimbabwe Association of Doctors for Human Rights, according to another Associated Press report.